Audioengine’s speakers are loved by many people. They truly deliver improved audio performance compared to the standard set of speakers used by laptops and TVs. If you want to have the real stereo surround experience, you make no mistake by getting one of Audioengine’s models. Most probably, you are now considering to get either Audioengine A2 or Audioengine A5. Of course, just like what you have expected, Audioengine A5 is more expensive compared to Audioengine A2. So, is the price increment worth it? Let us find out below! Both Audioengine A2 and Audioengine A5 are made of the same material. The housings are made of MDF cabinets. Both models are hand-built, in order to ensure the utmost precision of construction. However, Audioengine A2’s cabinets are 18mm thick, while Audioengine A5’s cabinets are 13mm thick. The thickness of the walls plays a role in the audio reproduction. 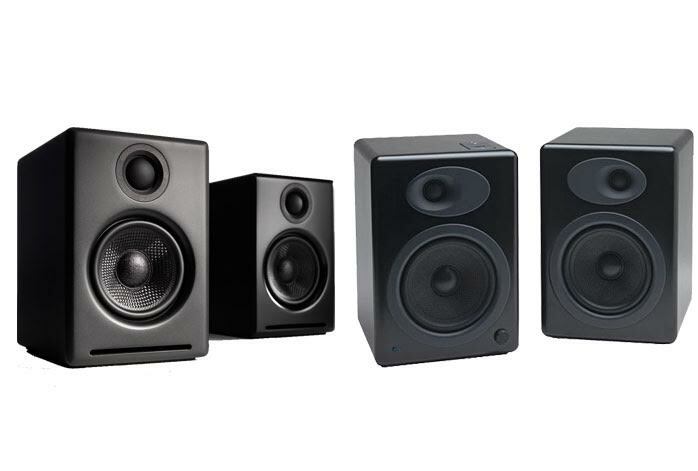 Audioengine A5 has been sophisticatedly designed to have superior ruggedness and durability despite the thinner walls. The thinner walls allow less audio reduction to be made, so that the sounds can be crisper and more accurate. Additionally, both models feature Kevlar woofers and silk dome tweeters. While the diameter of the tweeters remains the same, 20mm, Audioengine A5 comes with 130mm Kevlar woofers with advanced voice coils. Audioengine A5 is also armed with toroidal power transformers. And, Audioengine A5 has been magnetically shielded to protect it from interference with other signals from the environment. Additionally, Audioengine A5 also offers better longevity. It has been armed with improved thermal protection and power on/off transient protection. The excellent performance levels can stay consistent for a long time. All in all, Audioengine A5 is indeed an excellent upgrade from Audioengine A2. The extended frequency response range and the improved woofers allow for a much better audio reproduction.